I'm not too late, am I? Or too early to start thinking about Christmas gifts? What? Why are you looking at me like I'm crazy? Nevermind, don't answer that. Actually I'm right on time! Last year the kids and I worked all year long on this project. Every month we did a photo shoot. Sometimes I shared the pictures here on the blog, but never said what they were really for because I didn't want to spoil the surprise. They were for a calendar! When we could, we themed the picture according to the month. Since some months don't have a real holiday or theme, we just did fun shoots for those. We gave these to the grandparents as Christmas gifts. We ordered from WinkFlash.com and were really pleased with the quality, price, and customer service. They have tons of products to choose from. If you wanted, you could even snag a bunch of pictures and whip one up for yourself, if you don't have a 2010 calendar yet! We're still at the beginning of the year. 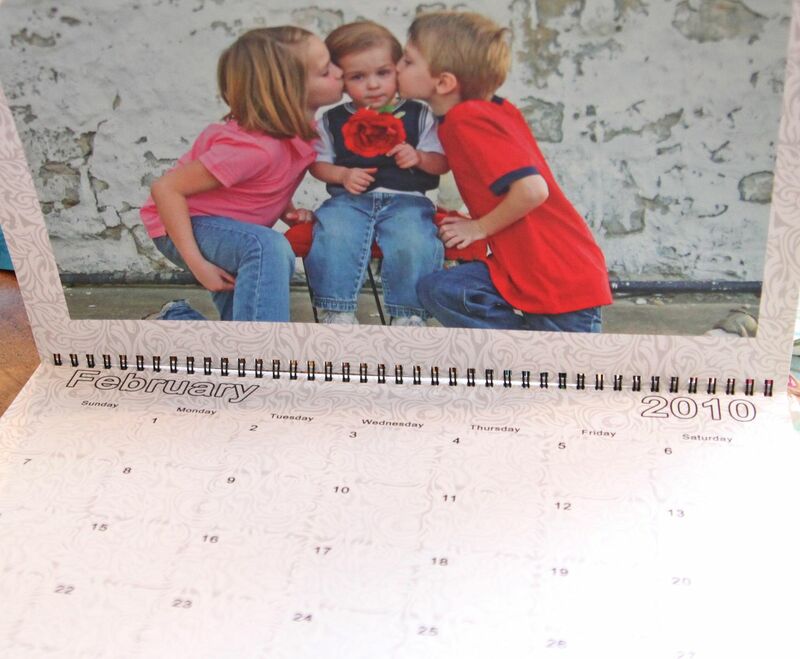 Or you could start now, and do what we did, collect the perfect photos throughout the year, then print the calendar as a gift. My hubby makes me a calendar every year on a Mac program and puts it in my stocking. I love it! The kids also look forward to each new month to see who is going to be featured! I love it! 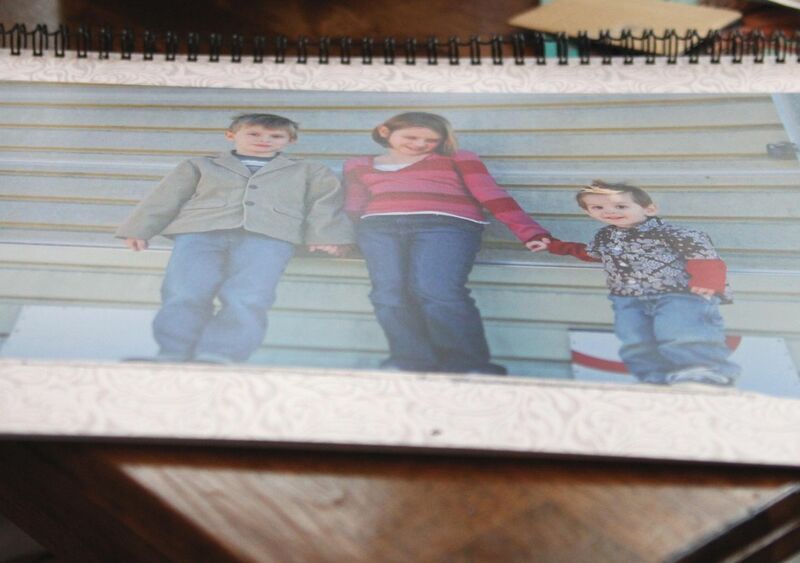 Such a great idea, I think I might make one for myself with some grand baby photos I have. My MIL does this with pics of the grandkids to send to my BIL. He's in the military, so he doesn't get to see them very often. But over in Okinawa, he gets to see the kids' pictures each month. He loves it. It's the only thing he asks for each year. I think.....It's a fabulous idea!!!! we have this too...and I used SHUTTERFLY, which is incredible because once you join they send you ridiculous coupons and free prints. Plus, you can type in birthdays and have them printed on the calendar, too. Cute idea! But what's wrong with my free calendar idea? Haha! oh june, how i wish for june! i love that idea! i made a calendar for my parents last year but didn't think of a photo shoot every month- you are so creative and did such a great job! I think it is an AWESOME idea! Love it! I just love your blog Becki, I always look forward to your new posts! Great Idea - And Great Pictures!!!! clarified the issue. What fun. I've always wanted to do this maybe someday when I get reorganized. What a fabulous idea, and so fun that you themed the shots when you could. Definitely keeping this in the pipes for when I have kids! You never cease to amaze me! I don't know why you don't compile a book of terrific gift ideas! What a wonderful idea!!! LOVE LOVE LOVE it!! We have done this as gifts for grandparents too! 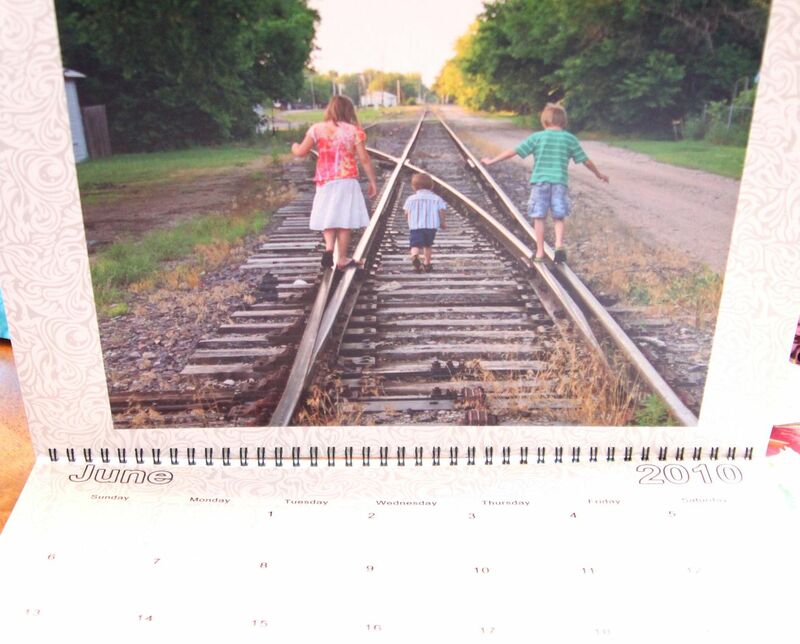 Your pictures are great, I love the one of the kids on the train tracks. I also wanted to say I love your new name and I really like the new pictures on top of your blog. Have a good weekend! In my book, it is never too early to think about gifts!! I LOVE this idea!!! Course my kids are 15 and 22 so I would have to sneak some shots as they are not always happy to pose anymore. this is a great gift idea! I love personalized calendars!! You make beautiful jewellry!! I am visiting from V and Co!